GeneralService24 offers you professional 360 degree panorama tours that benefit the attractiveness of your business, service or product. 360 degree tours are the new trend when it comes to effective presentation on the internet. GeneralService24 can incorporate the panorama tour to Google My Business, Google+, Google Maps, Google Street View and your social media accounts. The virtual tour we create for you adds allot of value to the presentation of your location. The virtual tour can of course be viewed in full quality on smartphones and tablets aswell. Studies have shown that offering 360 virtual tours can generate up to 65% more customers. 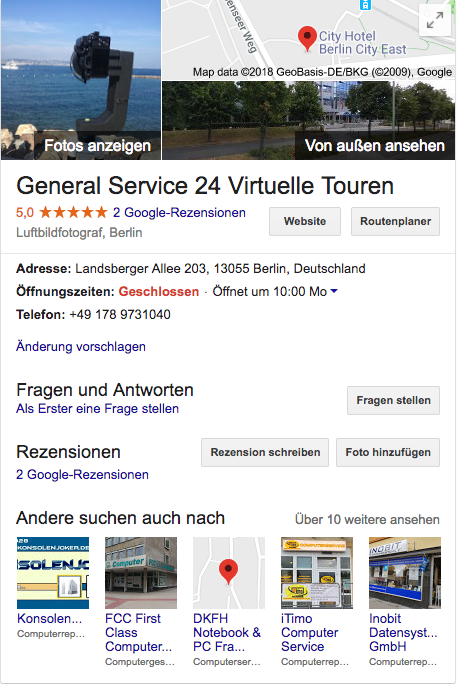 Owner of GeneralService24 is Daniel Günther who is certified as a professional panorama photographer by Google Street View. At Feel Real Estate you can then take a look at your 360 ° panoramas and interactive tours. We will gladly provide information about the possibilities that come with 360 degree panorama photography. We also offer you personal guidance in which we can discuss how the virtual panorama tour meets your demand. GeneralService24 works with expensive hard- and software to provide you with professional quality and high standards. The panorama pictures used for our virtual tours have a razor sharp resolution of 500 mega pixels. We offer you an all-round service that includes taking the panorama pictures, editing the pictures, creating the virtual tour and finally publishing them in Google My Business, Google Maps, Google Street View and your Social Media. After analyzing the demand we can start very quickly. During the panorama shooting the location should have the least activity possible. To many visitors or other movements can impair the quality of the panorama picture and therefore of the virtual tour. It takes about 10 minutes to take a complete panorama picture. The camerasystem is placed in the center of room and then automatically starts taking a bit more than 400 pictures per 360 degree panorama. After the pictures are taken the first work step is completed. 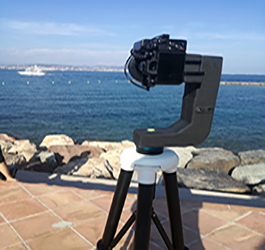 After the 360 degree Panorama pictures are taken, the virtual Tour is created with a professional Software. This software allowes us to customize the navigation of the Panorama-Tour to fit your corporate identity. After the Panorama pictures are logically combined, we add navigationelements such as arrows and other icons. We then add your company logo and colors to the navigation system of the virtual Tour to create a unique customer experience. Groundplans, picture galleries, videos, music, bonus information and different languages can be optionally added to the virtual tour. When you like the finalized panorama and you don't have further wishes you can give the clearance for the publishing of the panorama. We publish the virtual tours in online channels like Google My Business, Google Maps, Google Street View, Google+, Social Media and websites. Within minutes your 360 degree virtual tour can be admired online. Our panorama tour is optimized for PC's, Mac's, Notebooks, and mobile devices such as smartphones and tablets. Your customers also have the possibility to experience the tour with VR-glasses. After the panorama tour is published it still can be updated at any point in time. Social media has evolved to a very important part of online marketing for most companies and has shown allot of revenue. Lately the virtual reality (VR) is implemented more and more in social media. VR and social media cohere in an excellent way and therefore you should take the advantage of GerneralService24's offers. 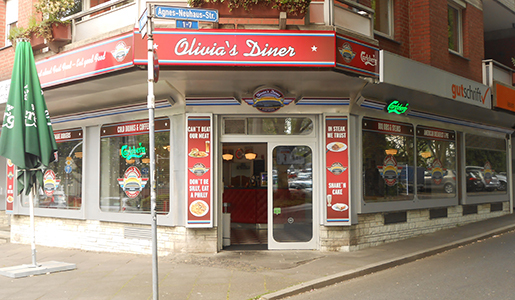 With a virtual panorama-tour your customers get a realistic impression of your location, estate or service. Virtual tours are an unbeatable marketing tool in the real estate-, restaurant, and hotel-industry that can turn potential buyers into new clients. Today most companies optimize their websites with keywords for more visibility on the internet. Optimizing the search engine belongs to the classics of online marketing. Your entry in Google My Business, Google Maps and Street View opens new possibilities for more visibility. Everything, that takes to long to show a result, looses its interest. In the last couple of years websites with informative website contents and special features have greatly improved their search engine ranking. Content marketing is the most effective way to market your company today. The virtual 360 degree tour can be customized with many details, features and gimmicks. The panorama presentation will be completely fitted to your corporate identity to make your company recognizable. Knowing how to market your company on the internet is an important step to introduce your services or products to broad spectrum website visitors. Ideally these visitors become new customers that profit your business. Generalservice24 can help you market your company on the internet. Drones play a big role in panoramaphotographs these days. During air photographs, the drone can stand still in the air with its GPS-positioning and take high resolution pictures even during wind. Modern drones create horizontal and vertical panoramas of up to 360 degree and photographs for interactive spherical panoramas. Wenn die Wörter unklar werden, werde ich mich auf Fotos konzentrieren. Wenn Bilder unzulänglich werden, werde ich mich mit Schweigen zufrieden geben. It is important to constantly check on your Google My Business entry after creating it, because that is the only way to find out how effective your business is placed at Google and how much the 360 degree panorama is liked by your customers. You will be surprised how beneficial the virtual tour is. Every company knows how important it is to be ranked as high as possible in the Google search engine. The ranking can not only be positively effected by the Google My Business entry, but also with allot more optimizing possibilities. For example including Google Maps, Google Street View and a few social media accounts. You get the best results with the SEO (Search Engine Optimization) if you adjust the keywords to perfectly fit the interests of your target audience. You can also include search engine advertisements for a charge at Google Adwords where the information of your Google My Business entry can be implemented. Content optimization is crucial when it comes to online marketing. Designing your website with pictures, videos and informative texts are important aspects of content marketing. The center of attention is to offer your customer a great experience with your business which can be reached by adding special features on your website. Our 360 degree panorama tour for example is a special features that many companies do not offer yet. You would like to get to know further optimization possibilities ? We gladly assist your with our longstanding experience. If you don’t have a Google My Business entry yet, we are glad to help you by creating it for you. For the Google Branchecenter entry we need some data from you to complete your profile. It is important that we have all of your information to complete your entry as far as possible. What is the companies name? Where is the company seated? Do you sell your service or product at this location? Can you be found on Google Maps? Are your authorized or do you have a connection to the company? After setting up your Google My Business profile we get in to the details. As far as meaningful we add relevant keywords to your Google Branche entry. The keywords are incorporated into the description of your company. A vast description of your company should be enough for us to be able to create a descriptive text about your company. We also suggest to add your open hours, complete contact and your company logo because this leaves a better impression for your potential customers. Additionally this might lead to being preferred by the search engine. We publish your Google My Business entry after your company gives us the confirmation to do so. Then Google will send you a postcard to the address you gave us. An alternative recipient for the postcard can also be chosen. The postcard that includes a verification code will arrive within a couple of days. This verification code must then be entered in the branchcenter. After the verification code is entered in the Google My Business entry the entry is successfully published. As a professional panorama photographer I of course can take the picture for your entry as well – as far as you don’t already have some. Alongside the regular pictures, I create the 360 degree panorama tour for you and incorporate it into your Google My Business profile. Virtual tours will attract the attention of potential customers and bring your company into prominence. Most companies with a Google My Business profile do not offer a 360 degree panorama tour which of course gives you competition advantages. As soon as your Google Branchecenter entry is online you can overview statistics of your profile and see how many people have visited it and what actions they took. This way you can see how successful or unsuccessful your Google My Business profile is. If it is unsuccessful there are many ways to correct your profile within a couple of minutes. Additionally you can use the modern web-analysis for your online marketing from Google Analytics. If you would like to try the web-analysis-software just take a look at our Google Analytics column. Different from other industry portals Google My Business brings the advantage of directly connecting to the search engine. This is why you can not only increase the presence in organic search results (SERPS), but also in entries from the Google My Business industry portals. This way you obtain significantly more attention from customers and additionally increase your presence on the internet. Our 360 degree panoramas and virtual tour can be easily integrated into Google My Business and can be viewed online within seconds. The Google My Business entry can make up a bit portion of the search results. This of course can give you major benefits and an increase in website visitors and potential customers. Adding a professional 360 degree panorama tour greatly increases the presentation of your website. Recommendation marketing such as Google-reviews are also of great significance. Having allot of positive reviews makes your business gain trust of more potential customers. With our service you can greatly improve your Google My Business entries to offer special highlights to your customers. Improving the Google My Business entries positions your company higher in search engine results and enhances your market presence. Further information and advantages can be found at Panorama Tour 360 degree. The main advantage of the virtual tours are the variety of application areas on the internet. 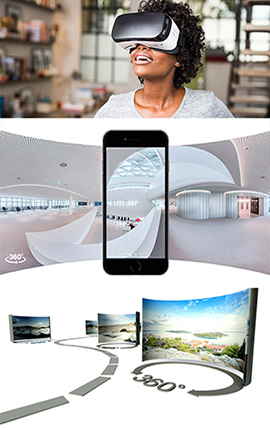 With the 360 degree panorama pictures virtually any location can be presented in a great way on the internet. 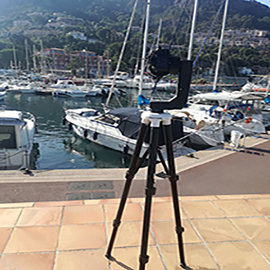 Several typical application areas of 360 degree panoramas are: Hotels, Real Estates, Bars and Bistros, Yachts, Trade Fairs and other Events. The following article will explain the advantages of our virtual tour in reference to the Real Estate Business. Saving time and cost: Buyer and Seller save valuable time and effort because of uncomplicated procedures..
Arousing interest: A panorama tour arouses attention and gives the possibility of a detailed first impression for the customer. This should lead to an increase of customer request in every case. 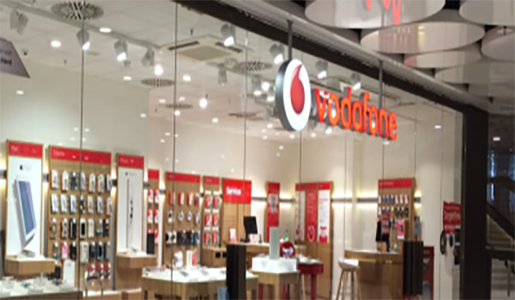 No unnecessary appointments: Since the customer has already seen the Estate and got a first impression, you should only be getting requests from customers that are actually interested in buying. Flexibility: With the virtual tour the customer has the possibility to have a look at every Estate you offer at any time of day. Directed marketing: The 360 degree tour also gives the customer the option to look at the Estate again after you met in the Estate for an actual tour. That way the customer can review the details to make his decision. Virtual tours for third parties: With the virtual panorama tour the family members and friends of the customers can also have a look at the Estate in detail without actually having to visit the Estate itself. Marketing: Selling or Rent out fast and for a fair market price. Besides the panorama photography GeneralService24 also offers expert knowledge in online marketing and web-app development. Therefore we can offer a wide spectrum of services to our customers. For example arial pictures of an object or location that we take with our professional video-drone. We also offer developing a website and an app for your company. All our services are individually customized to fit your companies and customers needs. The dignity of moving an iceberg, relies on the fact that only an eighth of it is above the water. Integrating a 360 degree panorama tour in Google Maps and other online channels can present your company to the world in a very delightful way. GeneralService24 offers you a big variety of possibilities of panoramaphotography to enchant your potential customers. Employ us and we will come to you!